Delhi Subordinate Services Selection Board (DSSSB) has announced Junior Engineer, Assistant Engineer Vacancies for the Year 2019. Many candidates have started their preparation. To make your preparation effective, we have given previous year question paper for DSSSB Junior Engineer Post. 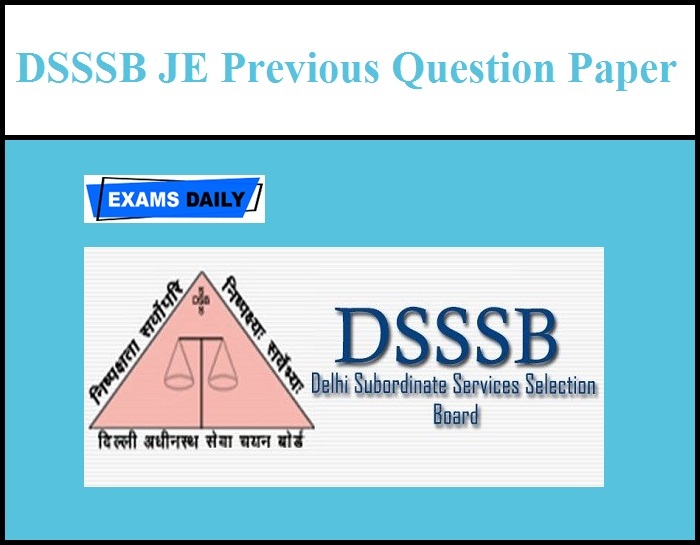 Candidates can download DSSSB JE Previous Question Paper from below mentioned link.